Walking to the Hall of Justice for jury duty has given me the opportunity to find hidden gems in SoMa. Such as the coffee bar hidden in the picture on the right. Do you see it? Look within that warehouse being remodeled, behind that yellow van. Ah, there it is. SightGlass! 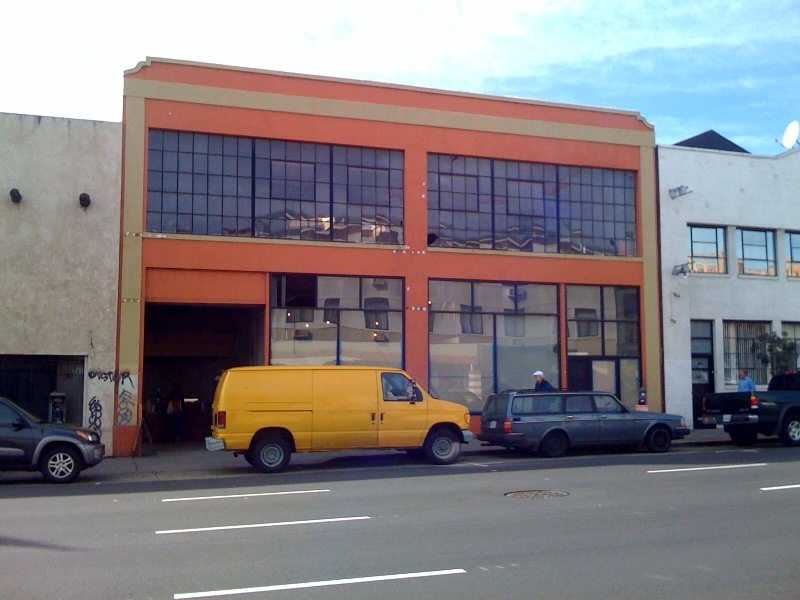 I walked by this area and saw all kinds of signs saying SightGlass, but I thought it was some kind of glass shop, until I finally took a good look inside. A full coffee bar, a standing table, and one bench are all that make up the current SightGlass coffee bar. There’s always a few people waiting in line or hanging out on the bench. Behind the bar is a bunch of curtains covering something going on in the back. Next to the bench is more curtained off areas where you can hear all kinds of construction going on. I overheard them talking about remodeling the area for where the actual coffee shop is going to be. This must be their way of making money during the remodel to make up some of the costs. I decided to order the Spice Infused Iced Tea. It was a nice and relatively warm day, although it’s been raining all week. The cup was pretty small, and the coffee was stronger than the watery Starbucks substance I normally get at work. The Spices were definitely very fragrant. I recommend adding some creamer in it. It came out to be $3.